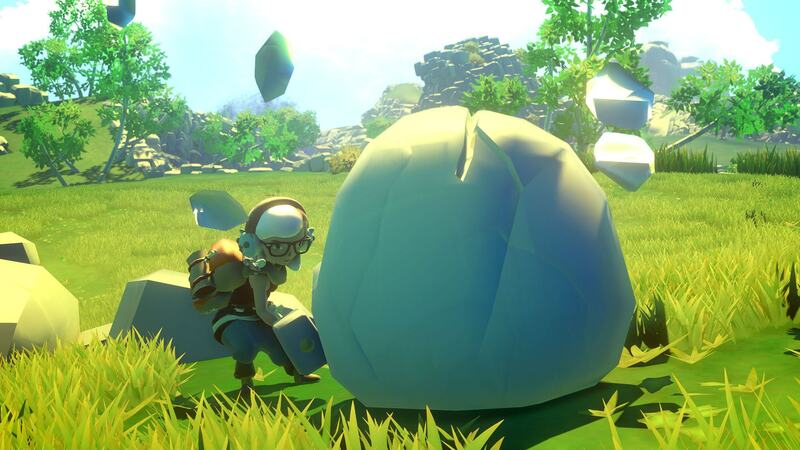 The ports just keep coming to the Nintendo Switch, which is great because if ever there were a game fit for the system, it is Yonder: The Cloud Catcher Chronicle. We reviewed the game last summer when it hit the PS4 and gave the game a pretty decent score of 7/10. While there isn’t much improvement to the game’s plot since the PS4 release, there is something about the gameplay that is enhanced by taking a stroll through Gemea on the Switch. 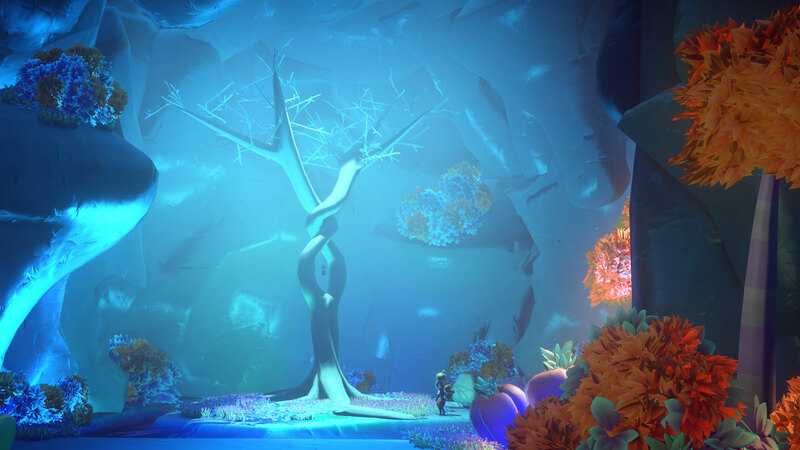 The TL;DR of Noe’s review is that he enjoyed the game, but wished there was a little more in terms of, and I paraphrase, content meat. Want to know what that means? Then I encourage you to go read the full review here. 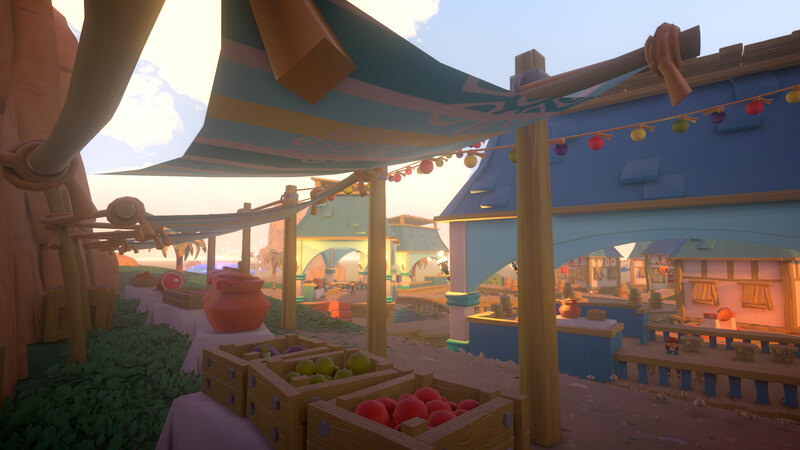 After playing through Yonder on the Switch, I get it – the core of this game is gathering resources and crafting. No fighting. No death. Just running around in a beautifully crafted world and rebuilding it. This style of game fits the Switch. I can plug in on the train to/from work and relax while I mine ore or chop down trees. Laying down in bed before sleepytime, I can casually farm and herd animals to inhabit it. It’s a relaxing experience that a game like Minecraft can’t always offer unless you are playing around in creative mode. There is a story here: you are off on a quest to figure out what happened to your parents. Your compass, imbued with magic, guides you to the island of Gemea and also crashes you onto its shores. The world of Gemea is charming but sparse. Towns with a populace can be found scattered around the island, but you’ll be wandering through a lot of landscapes with nary a person in site. 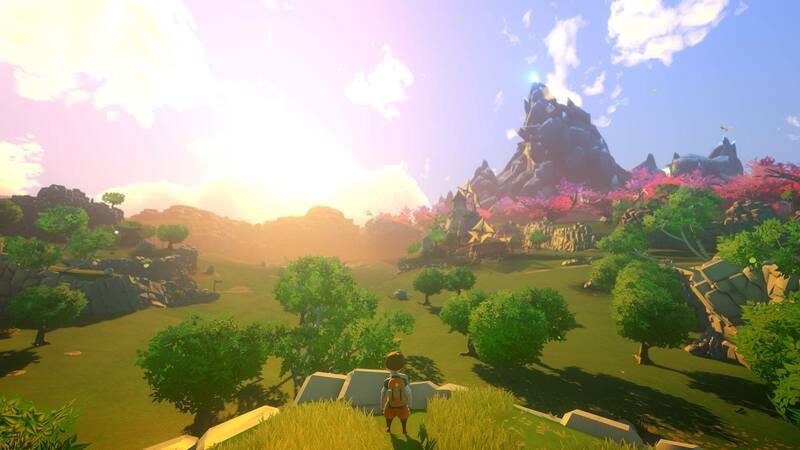 There are a variety of environments on Gemea, similar to what you’d find in any adventure game – grassy fields, snowy plains, tropical jungles, etc. You will also find a Murk lurking about (I know you see what I did there), whereby the power of sprites can help cleanse it from the land. Sprites are magical fairy creatures littered throughout Gemea that you will need to find in order to clear away all the Murk where it lurks. Murk clearing is not the only aspect of this game, as I’ve previously referred to crafting. Crafting is a means of currency in the game; when you visit an NPC, you’ll find that crafted items are used to barter for other goods. 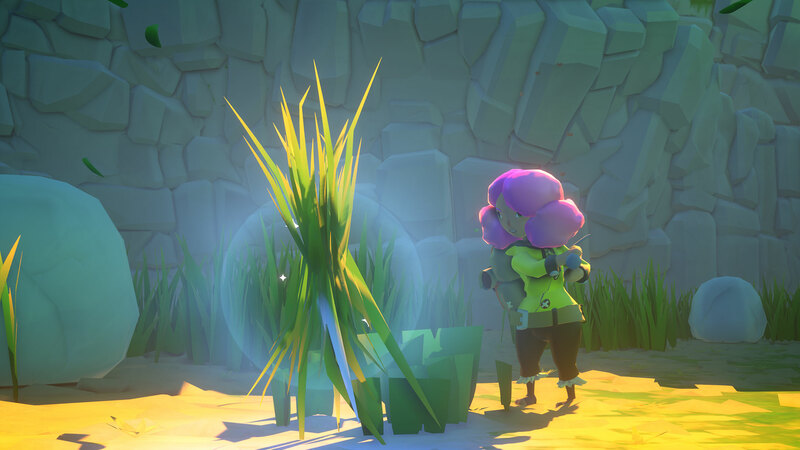 Quest-lines also rely on crafting certain items, which means you’ll need to go out and collect resources to advance the mission. You’ll also craft items needed to advance around the world, like a broken bridge over a river or housing for animals on your farm. Crafting doesn’t take as much input as a game like Minecraft and that’s a good thing. Crafting isn’t meant to hinder you where you would have to sit there and figure it out or build out multiple components, but is more to move the game along at a steady pace. You have the items needed? Cool, let’s build it and bridge this gap. Which brings me to my next point – Yonder also doesn’t hold my hand. When you get into the game, there is no rush to find an NPC or complete a quest. There is a compass that directs you to where you eventually need to go, but that’s about it. That’s what also makes this great on the Switch, as play sessions don’t feel pressured by pushing quest-lines with diligence. Picking up and playing is easy and I didn’t feel the urge to keep playing if I didn’t need to because a world like Gemea will always be there. There is an element of immersion here that dawned on me when I was writing this review, and that is that the world feels like it keeps moving without you there. This means that jumping in and out feels more seamless than most Switch games I’ve played (apart from The Legend of Zelda: Breath of the Wild). I’ve sunk a decent amount of time into Yonder, and will likely continue to do so. This is an excellent game for casual play sessions and I also agree with Noe in that this would be a great game to introduce to younger kids. The accessibility of this game on the Switch will likely boost the perception of it, and I do believe it has done just that. In fact, I’m bumping up the score of Yonder: The Cloud Catcher Chronicles for the Switch version. Those of you looking for something more meatier than what Noe and I have presented might want to skip this one over, as I see the lack of combat and simple fetch quests to be an issue for some.